Sta nevicando in Mottaret ?Grazie! 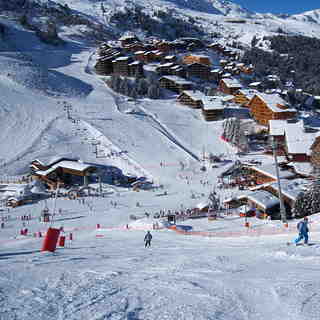 Mottaret lies at the heart of the 3 valleys just a couple of km from Meribel. 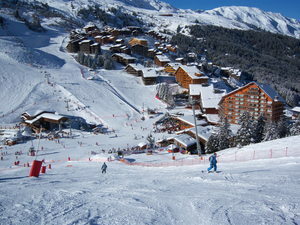 The skiing in the 3 valleys is superb with the largest linked ski area in the world. There is no excuse for becoming bored. Epic journeys can be made to see how far away you can get in one day; just remember you have to get back too! The village of Mottaret itself is modern but attractive with wooden clad chalets providing ample accommodation. There are plenty of places to eat at Mottaret but some are a bit pricey. 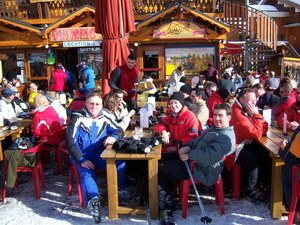 Nightlife is lively and you can easily head into Meribel for even more choice. I have been visiting Mottaret for 10+ years since learning to ski there when I was young. I have also ski'd in Mayrhofen in Austria, Verbier in Switzerland, Whistler in Canada and Chamonix in France. I can say without question the 3 Valleys and Motteret is second to none! The sheer size of the ski area is incredible, you can ski all day without having to do any runs twice. My suggestion is plan your day and destination, try and get somewhere different as there are so many places to see and experience with a variety of exciting slopes to ski. We have an apartment there so I can't say much for the accommodation, however, we have had friends stay and they give very good reviews of the hotels. It is not cheap; the 3 valleys is the biggest and best ski resort in the world and you'll pay a premium for that, but with it you get the most incredible skiing, stunning views, lovely food and a very accessible resort. Great for beginners, who can navigate blue runs easily, and also offers plenty for the experienced skier too.